In April 2017, the scientist Dr. Federica Bertocchini and her colleagues Paolo Bombelli und Christopher J. Howe published a discovery in the Spanish magazine „Current Biology“, that received great public attention: By chance, the discovered that the Galleria mellonella can biodegrade polyethylene. Polyethylene and polypropylene represent about 92 percent of global plastic production – and up to now, they are almost impossible to biodegrade. Dr. Federica Bertocchini gladly answered our questions on her promising discovery regarding the fight against plastic pollution. “A Plastic Ocean” is an adventure documentary, which was shot during four years and at more than twenty locations. 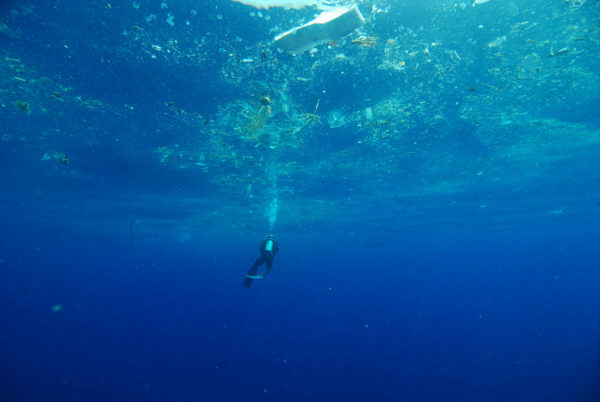 With a team of international scientists, Craig Leeson and Tanya Streeter documented the consequences of plastic waste in our oceans as well as pointed out solutions.